Florida's governor proposes school resource officers in every school, and one officer for every 1,000 students. — $450 million to put a law enforcement officer in every public school, and 1 officer for every 1,000 students by 2018 school year. — Does not include armed teachers. "I disagree with arming teachers," Scott said. "You need law enforcement that is well trained…Let teachers focus on teaching." — Increased Safe Schools funding to provide metal detectors, bulletproof glass, steel doors. Safety plans would be required before money would be spent. — Hire more mental health counselors to serve 'every student' at school. They can't serve dual roles, like teachers or coaches. — Department of Children and Families caseworker assigned to all 67 county sheriffs in Florida. — No ban on specific weapons like the AR-15. 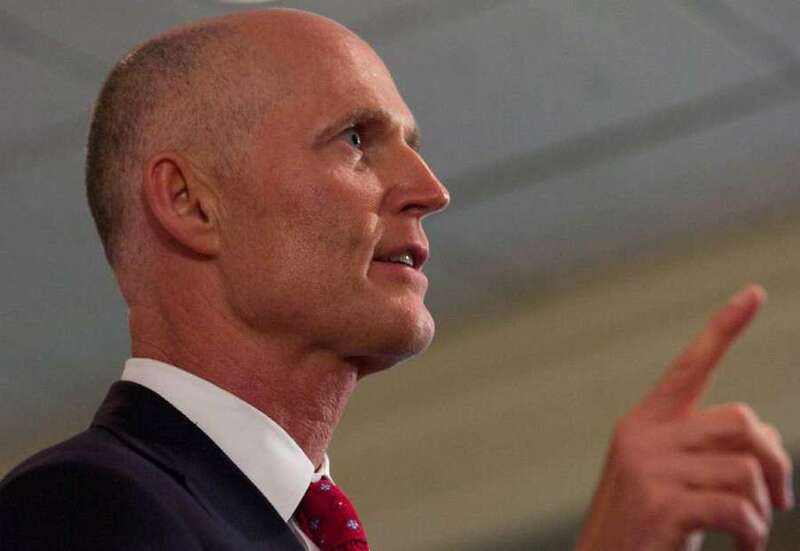 "Banning specific weapons and punishing law-abiding citizens is not going to fix this," Scott told reporters. — No waiting period before purchases. "Under my plan, police could have taken his guns." — A law requiring all people buying firearms to be 21 or older. — An increase in gun purchase restrictions for those who have been committed under Baker Act. — Empower the courts to prevent people from getting guns based on sworn petition of a threat of violence. A new program, Violent Threat Restraining Order, would allow police to remove fire arms from those who are mentally ill.
— A ban on bump stock sales. — Mandatory active shooter drills in all Florida schools by the fall 2018 semester. — New "See Something, Say Something" hotline, website and mobile app. — May abandon more than $180 million in planned tax cuts to pay for school safety program. Urged lawmakers to not pursue money for hometown projects. Here's Gov. Rick Scott's speech from Friday, where he outlined an action plan to address the Feb. 14 mass shooting in Broward County. Let's review the warning signs here… he had 39 visits from police, his mother called him in, DCF investigated, he was kicked out of school, he was known to students as a danger to shoot people, and he was reported to the FBI last month as a possible school shooter. And, if providing this funding means we won't be able to cut taxes this year – so be it.